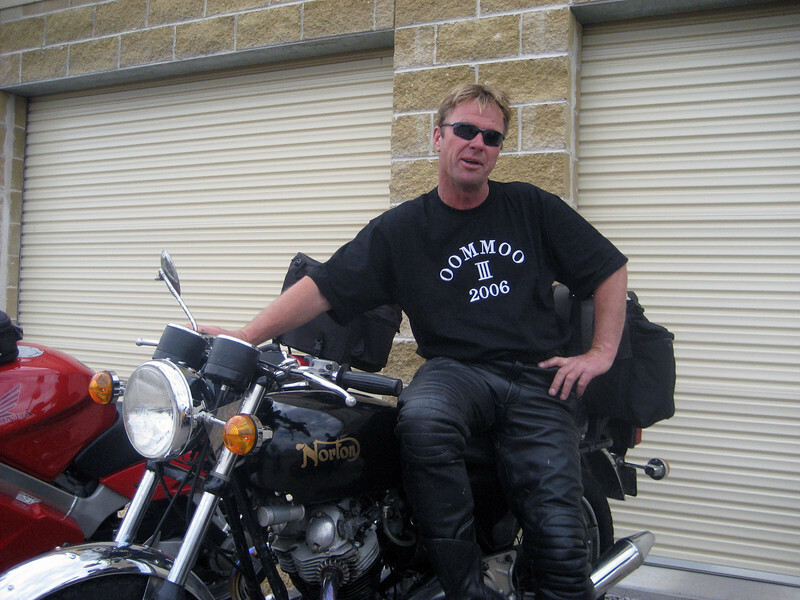 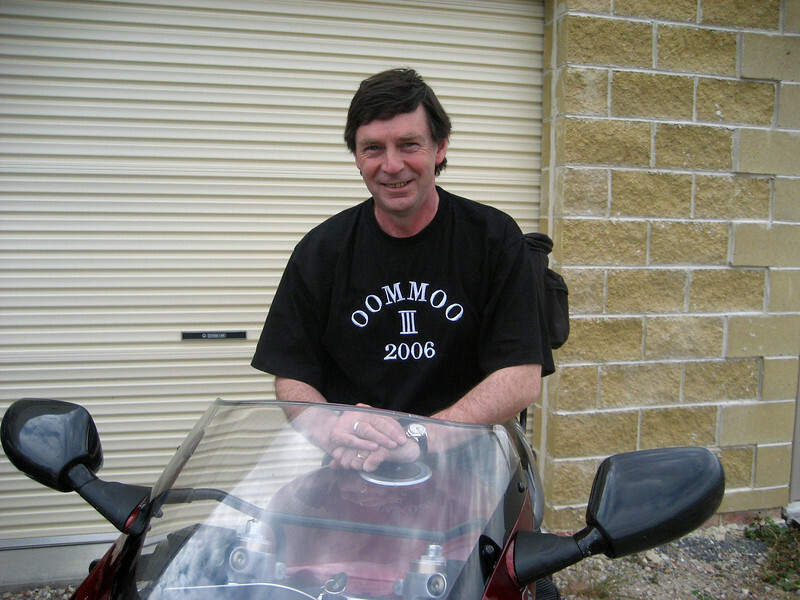 Andy – he has numerous motorcycles (that is an understatement actually). 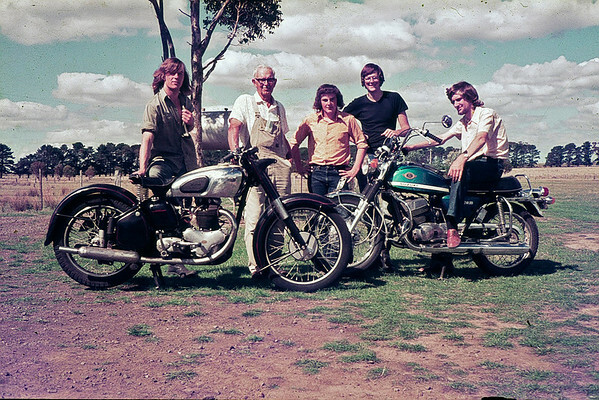 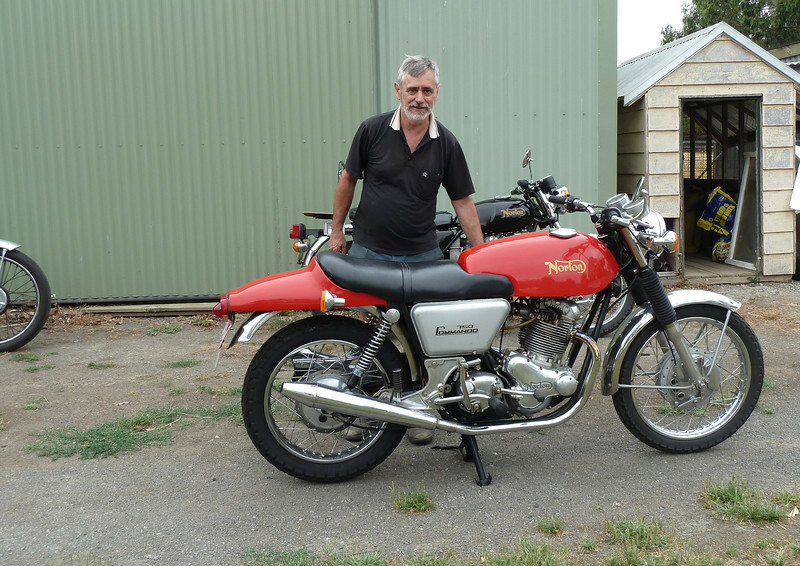 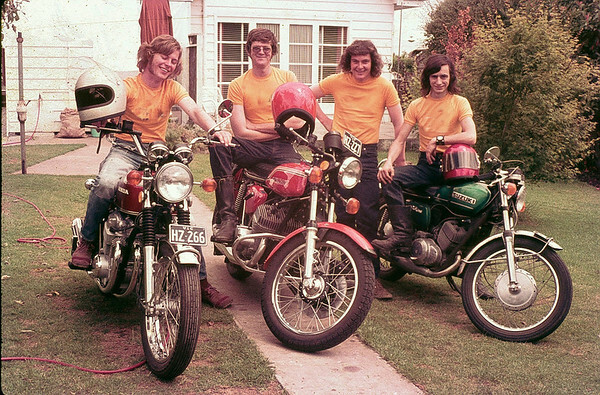 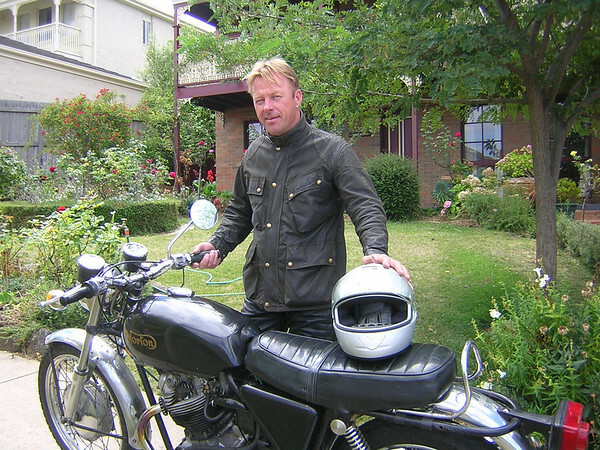 In addition to his Norton Commando, he has a complete and running 500cc BSA twin, a lovely 1972 T250 Suzuki Hustler, two Suzuki 500 Titans and an old 350cc Panther single. 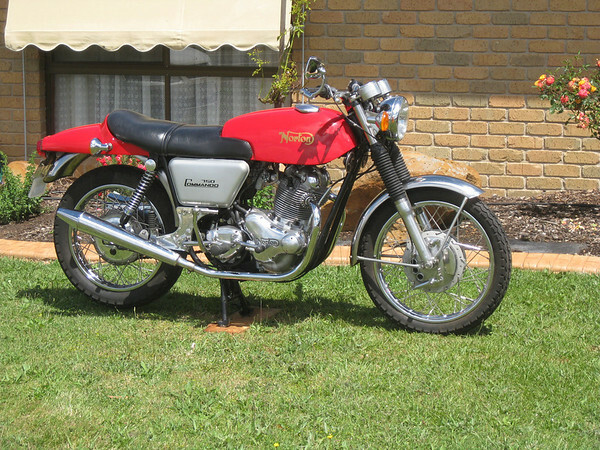 Under restoration are a 450 Ducati and another BSA. 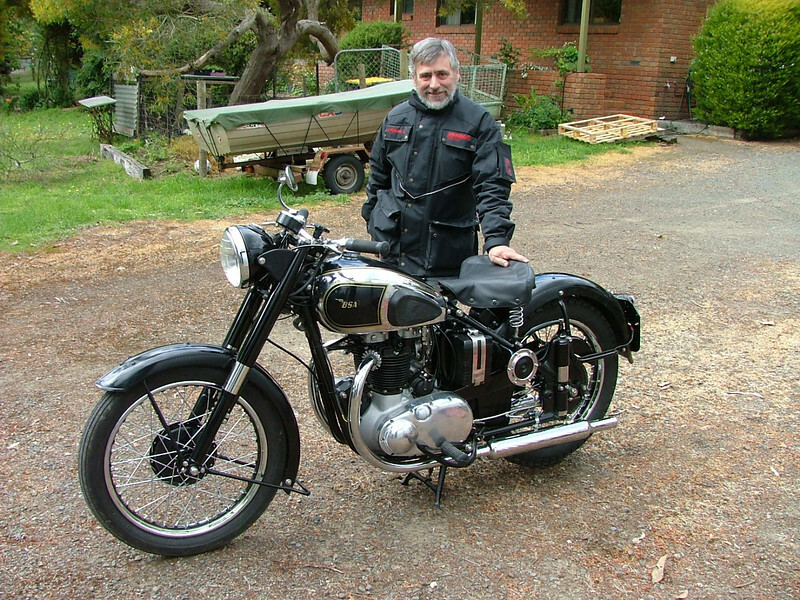 I’m certain that I’ve missed many of his machines, as there are numerous other motorcycles in various states of completion. 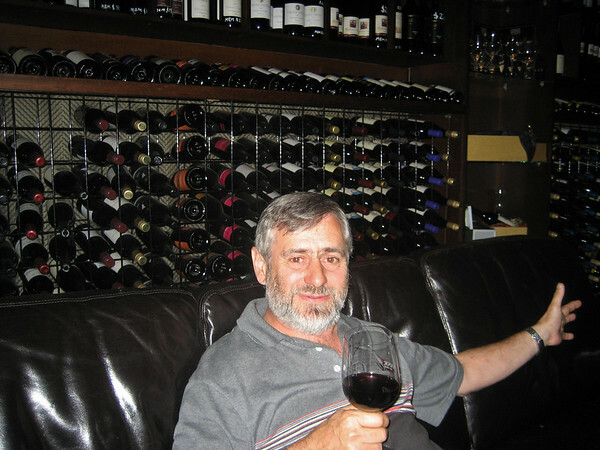 Actually I’d better get him to send me an inventory! 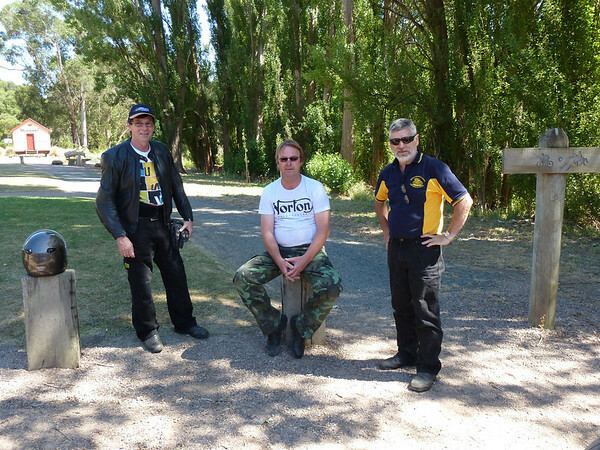 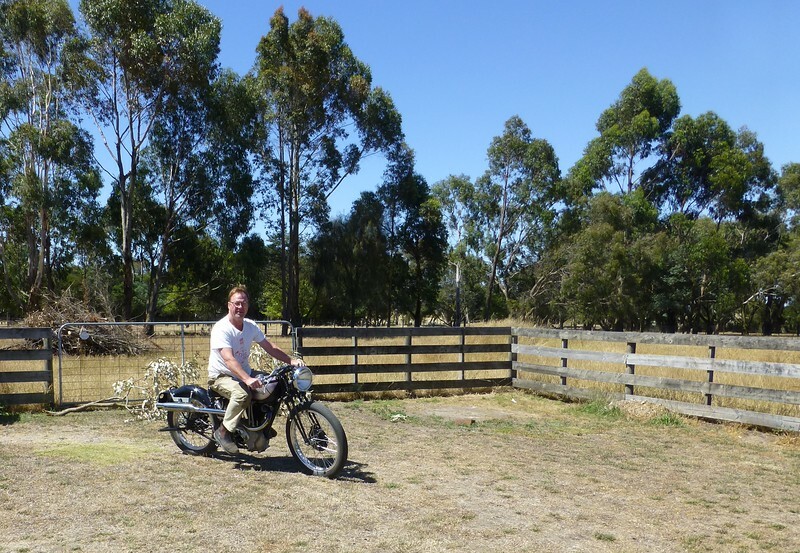 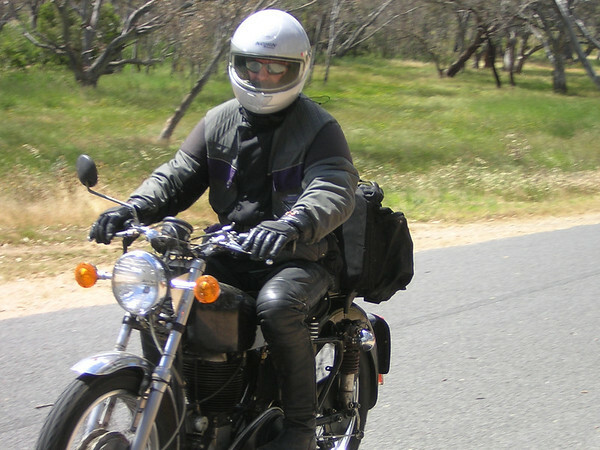 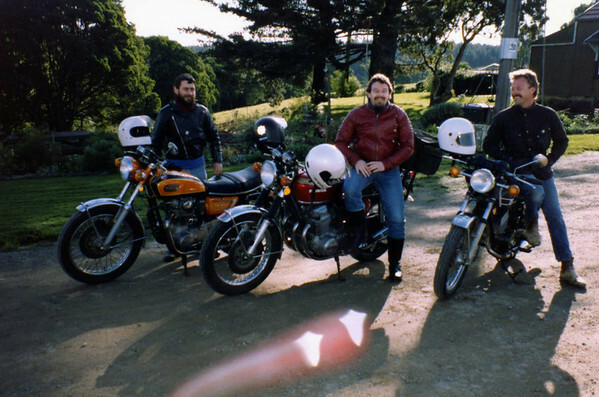 Marty – Neither Marty nor I are are into restoring old motorcycles. 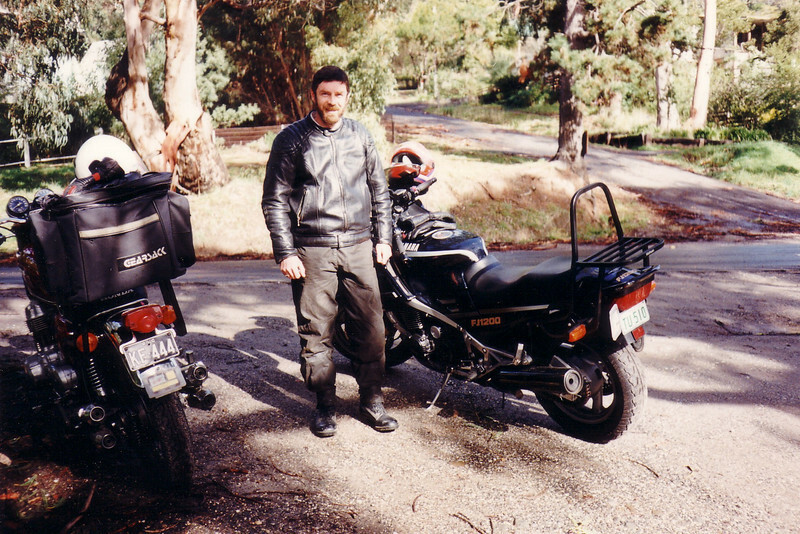 He’s my main touring buddy (and features in most rides reports on this blog) and we’ve been great friends for the past 26 years. 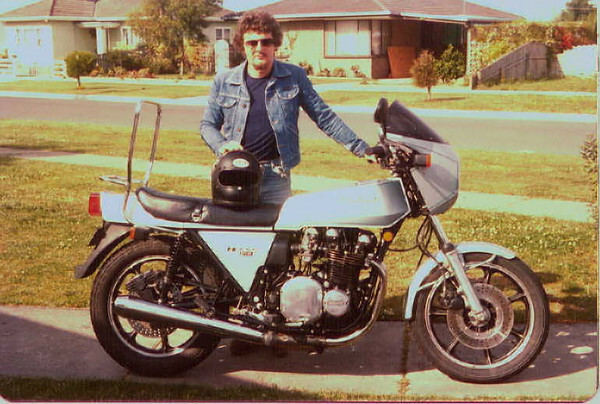 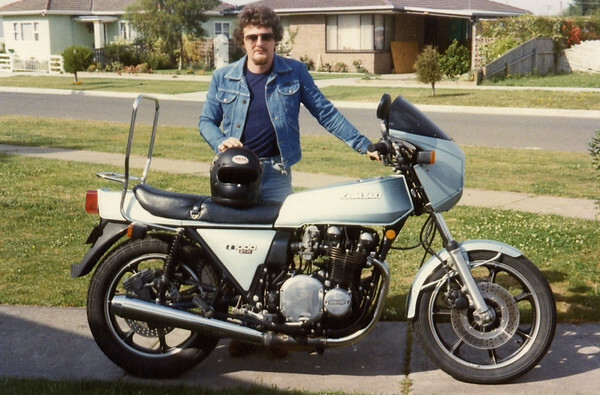 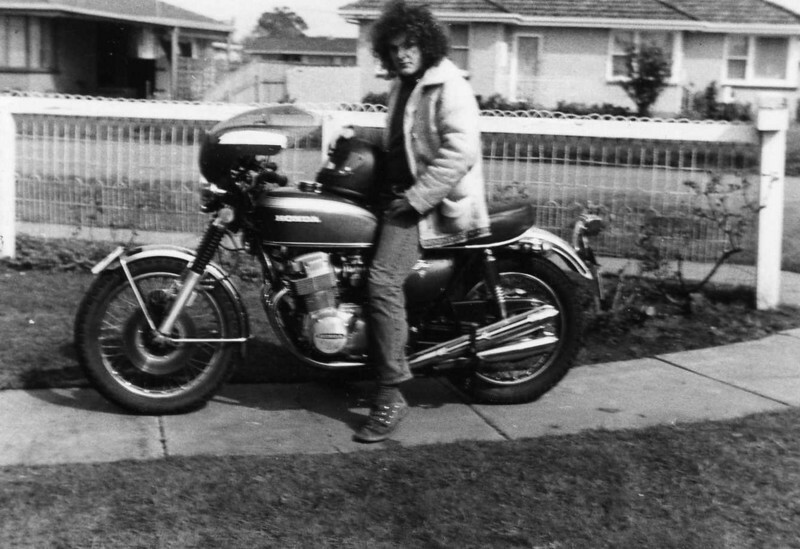 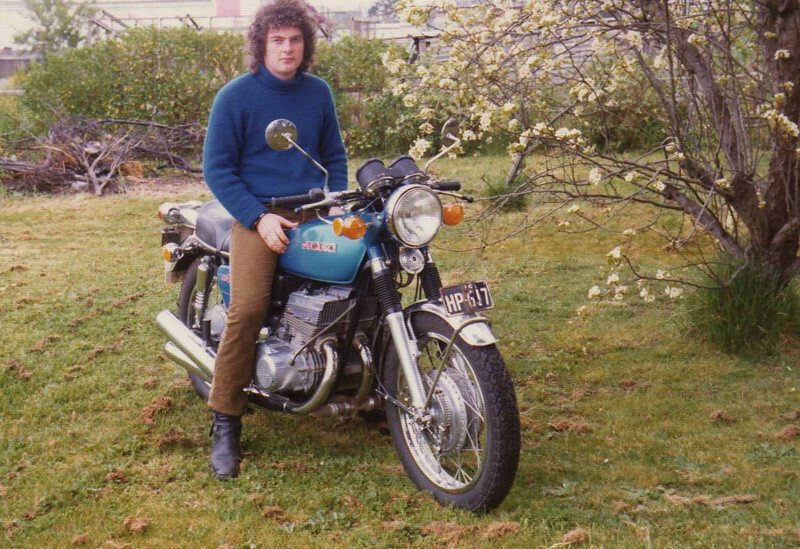 In the distant past he owned a 250 Suzuki as a commuter bike, then came back to motorcycling a little later in life. 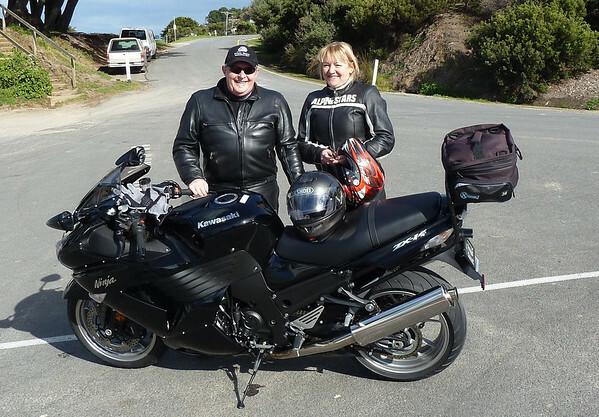 In recent years he’s owned two Kawasaki ZX9R’s. 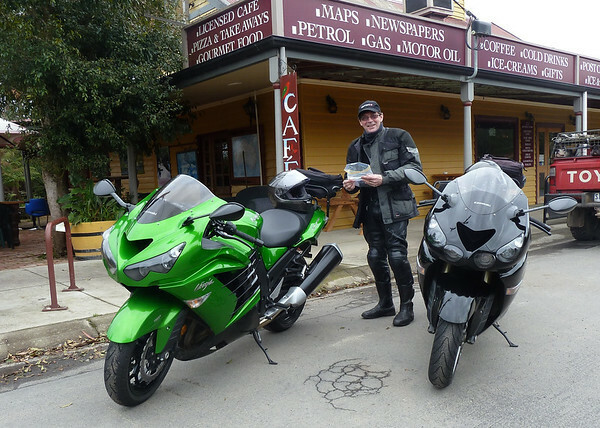 In 2012 he replaced his Kawasaki ZX9R with a new 2012 ZX-14R. 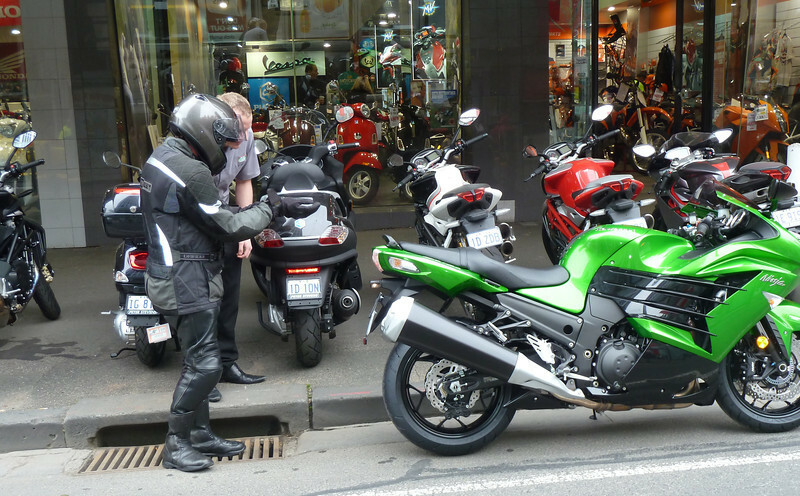 You have to see this bike in the flesh to really appreciate the excellent quality of that brilliant green paintwork. 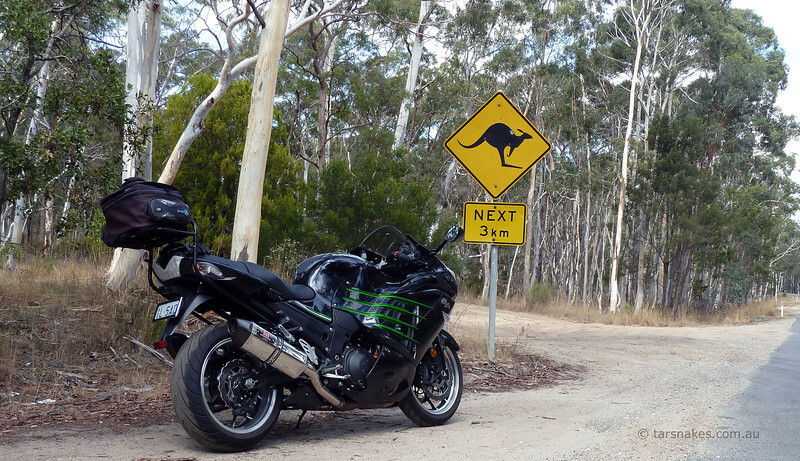 I’m sure this bike is really going to see some miles over the next few years. 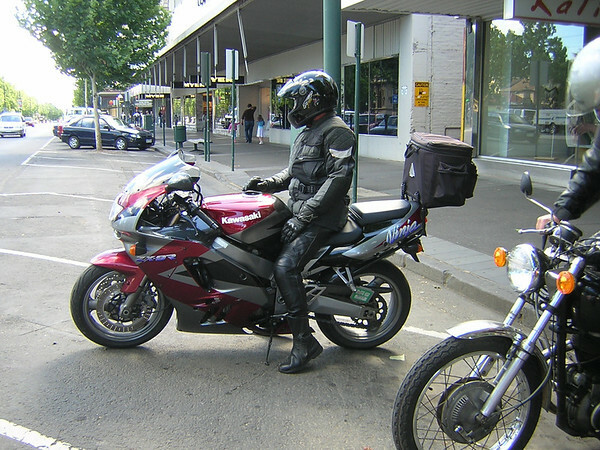 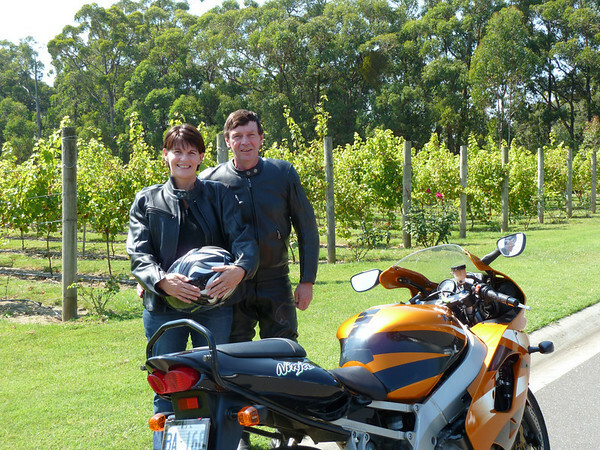 Jules – that’s me, I also post on various websites under the screen name Tarsnakes I currently ride a 2013 Kawasaki ZX-14R. 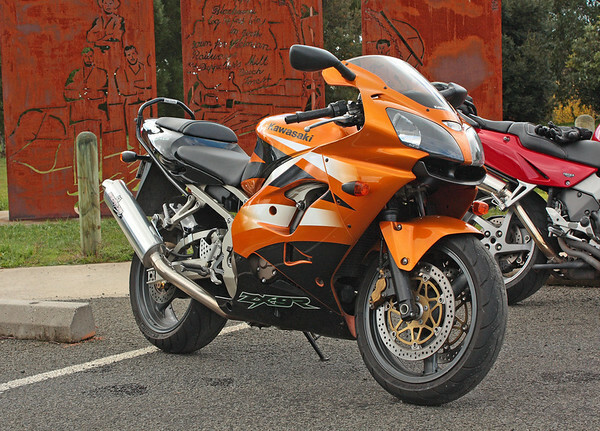 It has ABS, traction control and programmable power modes. 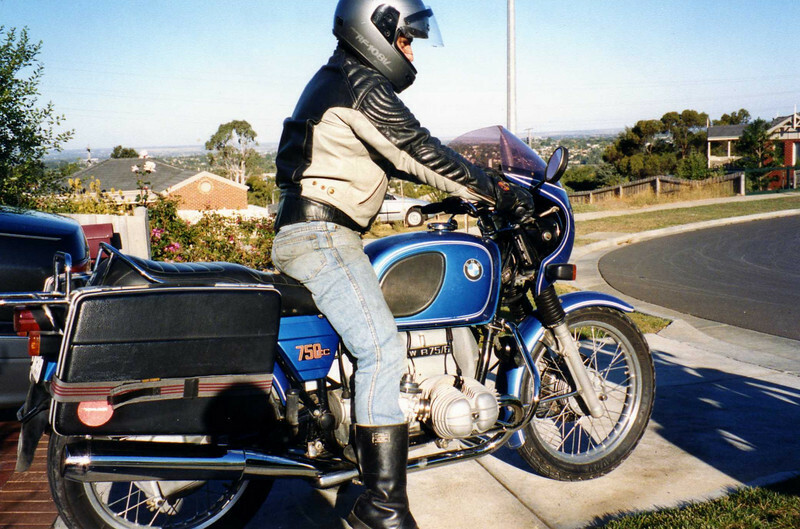 It’s certainly the best bike I’ve ever owned. 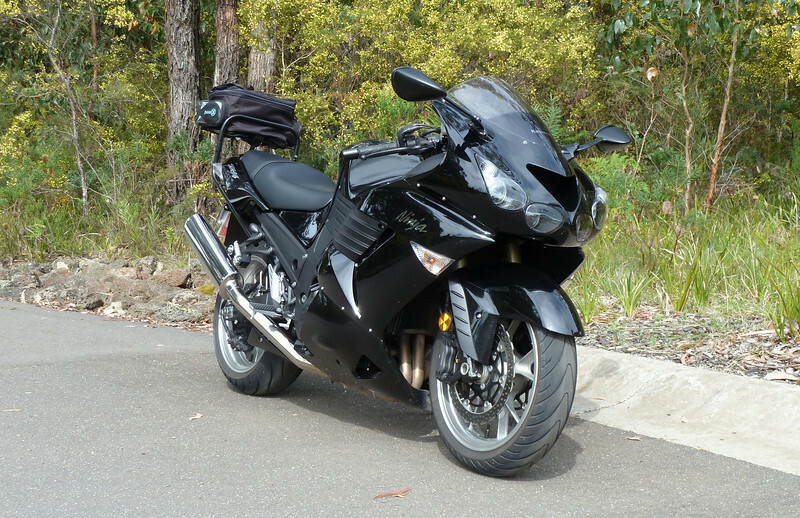 I’ve had Kawasaki’s previously, but I’m also a fan of Honda’s road bikes as well, having previously owned a VFR800, a CBR600 and a couple of CB750’s.